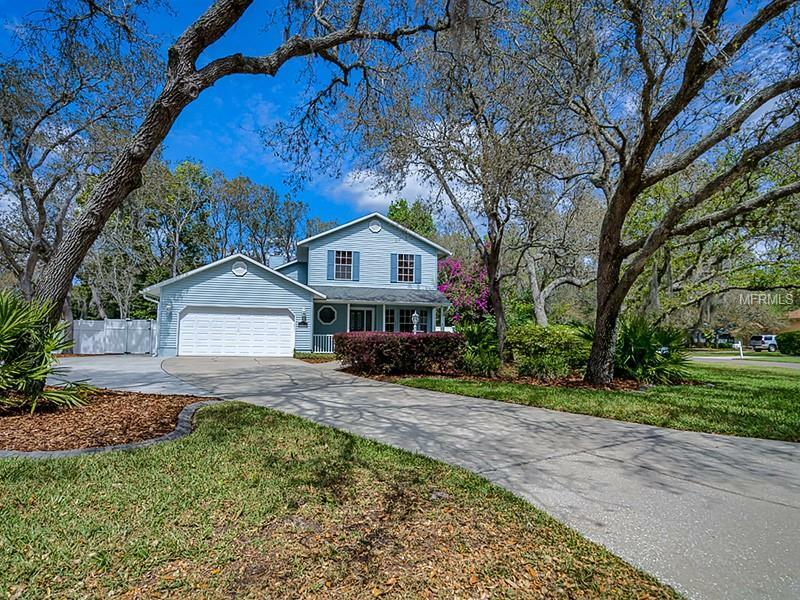 Beautifully upgraded 4 bedroom, 2.5 bathroom home with an office on a tranquil lot in the coveted heart of Lake Mary, near Downtown Lake Maryâs Farmerâs Market, restaurants and shops. This home is on an oversized .43 acre lot and features an open living space with rich hardwood floors and tongue & groove ceilings. French doors lead to captivating outdoor areas, including, a 28x12 back porch, salt-water pool and two paver patios. The downstairs master suite offers owners a 2-way traditional wood burning fireplace and luxurious spa-like master bath featuring dual-shower, marble countertops, marble tile and elegant vanity area. The kitchen is impeccable with 42â custom maple wood cabinets, stainless steel appliances, granite countertops and tile backsplash. Home is further complimented by a corner lot with an inviting front porch, beautiful landscaping, fencing and an oversized driveway to park your boat, trailer or multiple cars. This home also has NO HOA, is in a top-rated school district and has easy access to I-4, SR-417 and the SunRail. Your family and loved ones will treasure the charm of this home and enjoy the spacious backyard paradise, perfect for family gatherings. Schedule your tour today!